Bucharest has a lot of museums that are worthy of a visit. Some of them are already famous, while others could be considered local gems. Here are the best art and history museums in Bucharest, Romania recommended by a local. We recently met some people from the US and showed them the city. We had a great time together and actually we got to be tourists again in our hometown. One thing you should know about us is that we love to show our town to our friends. We take them into a tour by car, to show them the most important places to see, famous buildings and landmarks, and, if we have more time to spend together, then we go into different places suitable for their preferences. Some of the museums included below were recently renovated so you will actually get the best from visiting them. They are all gorgeous and they are all a small piece of Romania in terms of art and history and I really hope that you will have the time to visit them on your trip to Bucharest. An important note and tip for you is that you should book one day for big museums such as the Art Collections Museum in Bucharest. If you like art and history, this museum has a lot to offer and you should make enough time to enjoy all the art included here. These are the most important art and history museums in Bucharest. 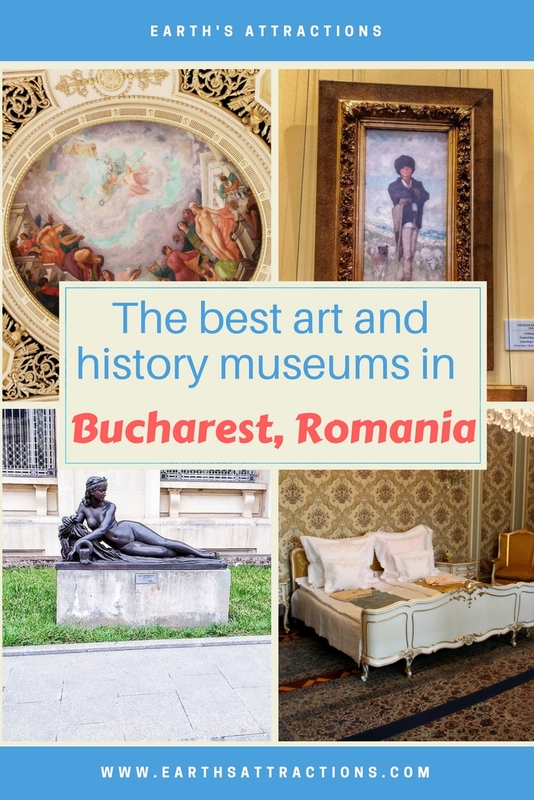 There are numerous more smaller ones dedicated to famous painters or other artists, but in this article I decided to focus only on the biggest, most famous, and comprehensive museums so that you will get the most of a first visit to Bucharest. To give you an idea of what will await for you in each of the above-mentioned museums, here are a few details on each and every one of them. Bucharest’s landmark, the Palace of the Parliament is a must-see in my opinion. You can, of course, choose to only admire it from the outside – and you should know that this impressive structure is actually the biggest civilian building in the world and the second one after the Pentagon, but you should also take in consideration visiting the inside if you have time. For such an inside visit you need to plan ahead and to know when is the English tour available. It’s easy to do that: you just call ahead and get all the information over the phone. The tour were lasts for an hour and will actually only take you to a small portion of the People’s House, which as you will learn during your tour, will actually take you weeks to visit in its entirety. But the the tour is really interesting. You get to learn a lot about Nicolae Ceausescu – one of the most important political figures famous worldwide (and associated with Romania) – and communism You get to learn a little bit about our past economy and social structure especially during the communism. And you will also be impressed by the interior and some of the decorations including the chandeliers – and no I’m not telling you more because I don’t want to ruin the surprise. As a note, while visiting the Palace of the Parliament keep in mind that on the opposite side there’s the Contemporary Art Museum so if you like contemporary art and modern art, then you you should take in consideration visiting with that museum as well. I focused today more in this article more on best famous painters and artists from the past, but for present art, this museum is the best. There are three floors with exhibits and there is actually a coffee house on the top that you can visit and get a glimpse of Bucharest as well while relaxing for a bit. As I mentioned in a previous article, this museum was opened to the public just a few years ago. It’s actually a protocol house that was designated as the official residence of the Ceausescu family. It’s called the Spring Palace and it now houses the Ceausescu exhibition, as it is referred to. 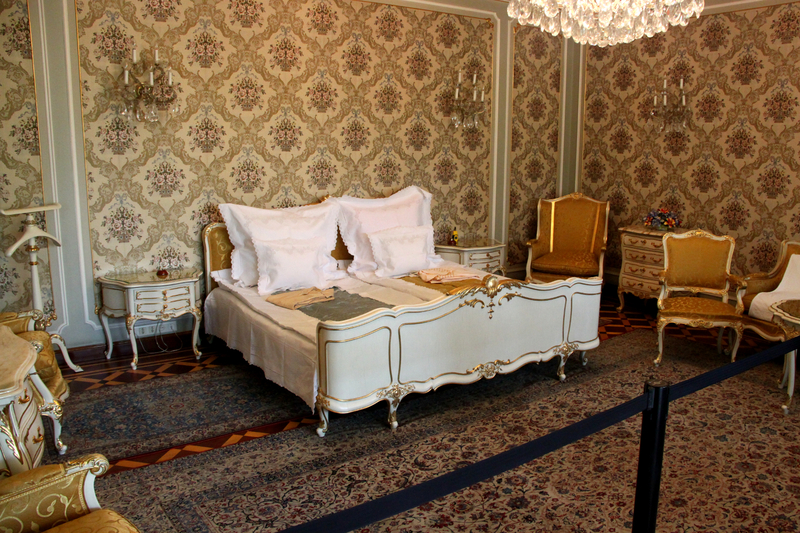 But what you need to know is that you will actually see how the Ceausescu family lived. As I mentioned, this is an article where I recommend art and history museums. So why including the spring Palace on the list? 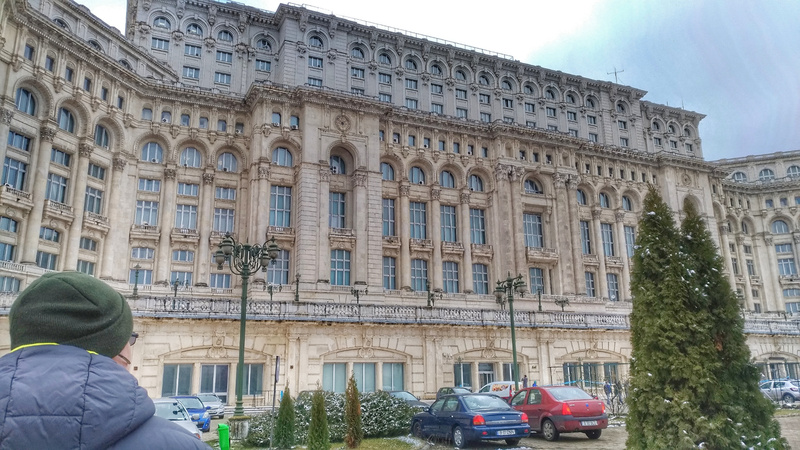 Because this museum is actually the best place to learn more about Ceausescu’s family, the connections with international leaders, political and economical interests and negotiations, and more. You’ll also learn a lot about the communism, about how people used to live during that time, and how things were for the ordinary people in that period. You’ll see numerous impressive works of art and interesting gifts received by Ceausescu from famous leaders leaders from across the globe. I visited this house for a few times already, and I took both the tour and Romanian and the one in English. I definitely recommend a visit here. The tour takes an hour and it’s a guided one, so you need to book your visit in advance because the groups are limited to a number of people. I always called and I always was lucky enough to find enough room for a tour in the day that I was planning on visiting. Therefore, while I’m recommending you to book your visit in advance, you can also just try on the day you plan on visiting but be flexible with the time frame. Recently renovated, the Art Collections Museum is one of the most important art museums in Bucharest. 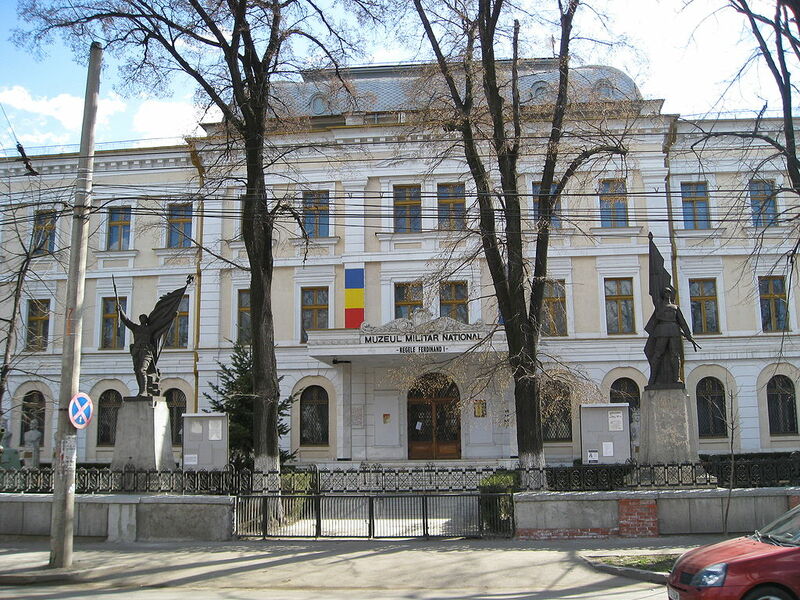 It’s home to various Romanian painters and artists and their collections. You will see here impressive works of art – paintings mostly – but also sculptures, some furniture carpets, crystals, and more. 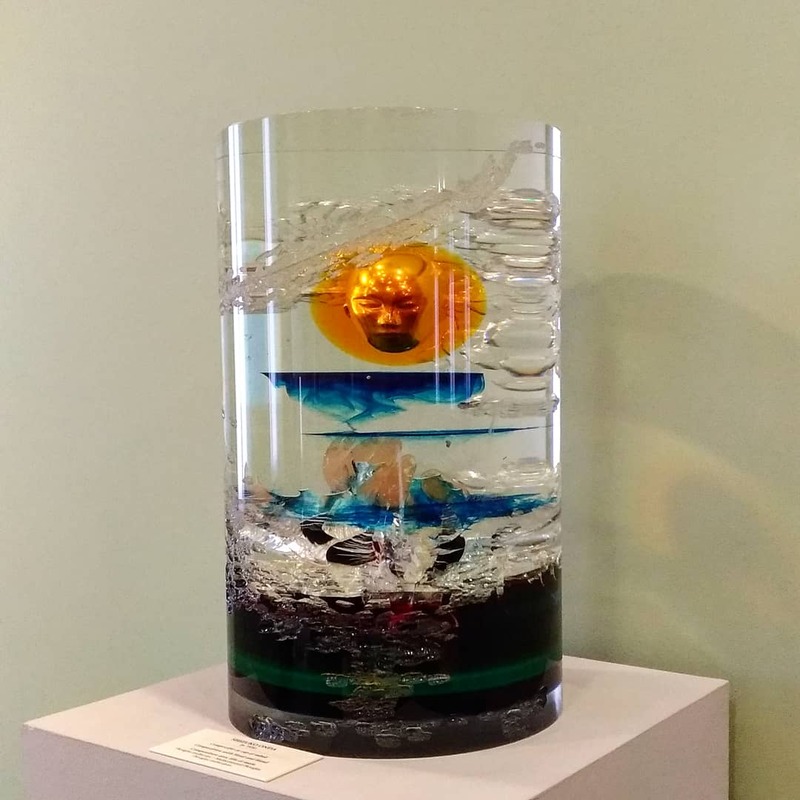 There’s even an exhibition with art items made by a Japanese sculptor. The museum will impress you from the first moment you see it and will remind you of a famous landmark: the Louvre Museum in Paris. If you didn’t know this, Bucharest was referred to as the Little Paris during the period in between wars. That is why, for instance, we have a replica of the Arc De Triomphe. The French influence is actually visible in the architecture of many buildings and the art was also influenced by many French famous artists. Anyway, the Art Collections Museum is big so prepare for a tour that will last for a few hours. If you really want to see all of the the beauty exhibited here, to admire and discover Romanian painters and some of the collections that Romanian people had and donated to the museum, then make sure you book at least half a day for this museum. You have a lot to see and it would actually be a waste just to rush through the rooms and not take your time to enjoy the beauty of the works exhibited here. You’ll have the chance to discover Romanian painters like I mentioned, but you will also see some international works of art from famous artists. All in all, again, this is one of the best art museums to visit in Bucharest and I recommend it if you have the time and if you love art. 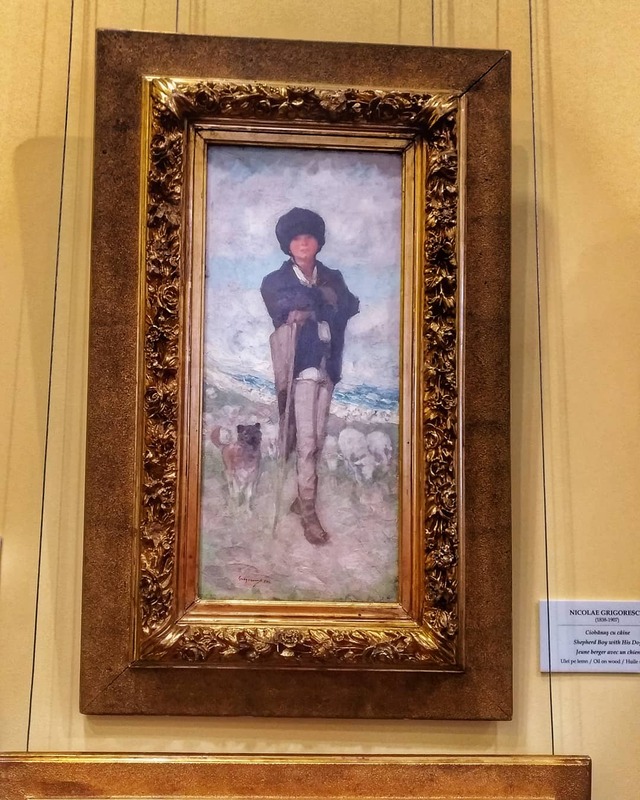 Each room has information about the works of art and authors on some pieces of paper available in various languages so while this is a museum where you walk at your own pace, you will have access to relevant information about all the paintings that you will see there. Another interesting element to mention is that that you will also see numerous icons from a Romanian churches – from the Orthodox religion as Romania is an Orthodox country. From this point of view, the museum is also a chance for those who are not familiar with the way Romanian churches are decorated and the icons that I’m referring to, to discover them in the same place where they will also see impressive works of art from famous Romanian painters. As the museum houses collections that were donated by important people, you’ll see works of art that were of interest to those owners. So you will also see some Asian sculptures and various object, including jewelry, Bohemia Crystals, Japanese art, Turkish items, and more. The Cotroceni Palace is the headquarters of the presidential administration in Bucharest, Romania. A part of the ensemble can be visited and I do recommend you to take a tour of the Cotroceni Palace on your trip to Bucharest Romania. As you can easily imagine giving the designation of this building, the tours are guided. As they are limited to a number of people, you have to book your tour in advance but you can only call for the next day: so you can only call today and make a reservation for tomorrow not more days in advance. They will tell you when the tour in English takes place and as you will see the procedure is quite simple and you will have no issues. Depending on the tour that will be available when you’ll visit the palace, you will spend one hour or one hour and 40 minutes. 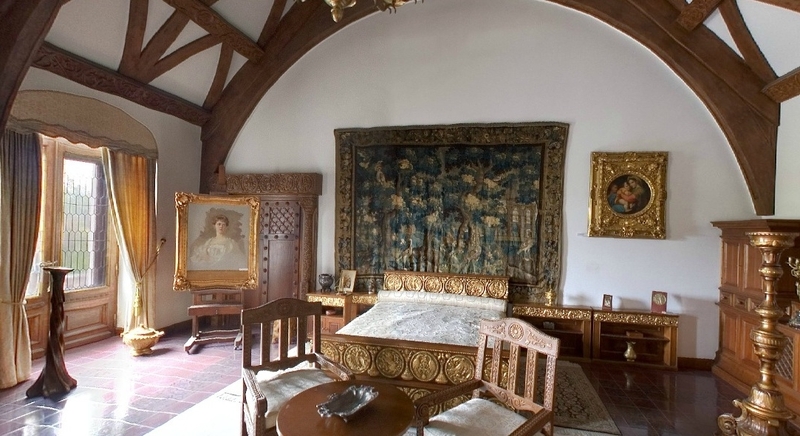 A visit to this museum is actually a great incursion into our past because you will learn a lot about the way Romania used to look, some of its leaders and, in some of the rooms of the palace, you will discover resemblances with some rooms from famous palaces cross Romania. You will also be able to admire some really nice decorations furniture. The interior will mesmerise you. Again definitely one of the most important places to visit in Bucharest. 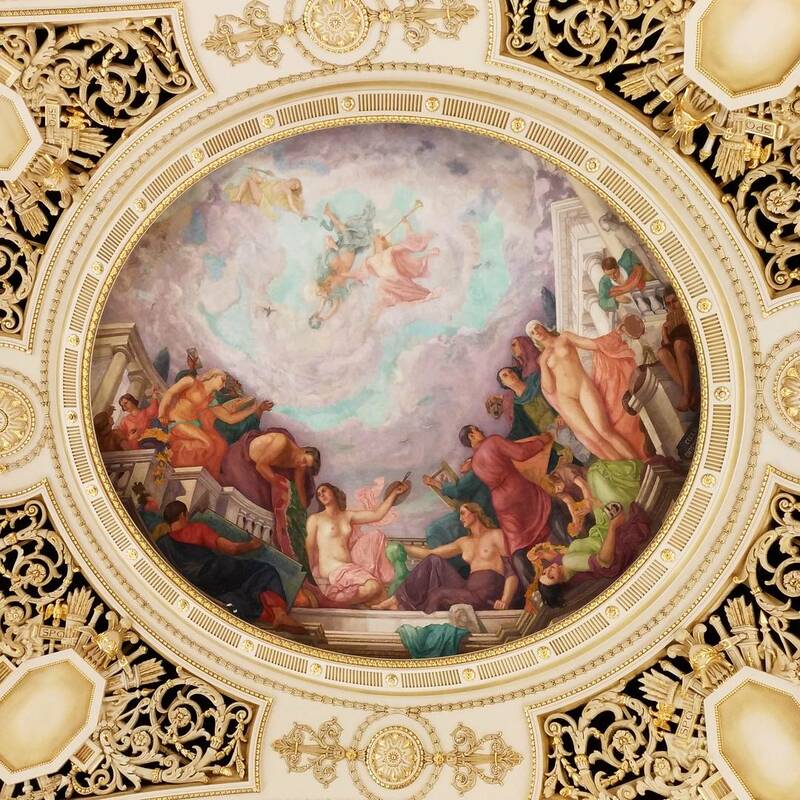 The National Art Museum of Romania housed inside the Imperial Palace in Bucharest is located in the heart of of the city, close to important landmarks such as the Romanian Athenaeum, the Kretzulescu Church and more. 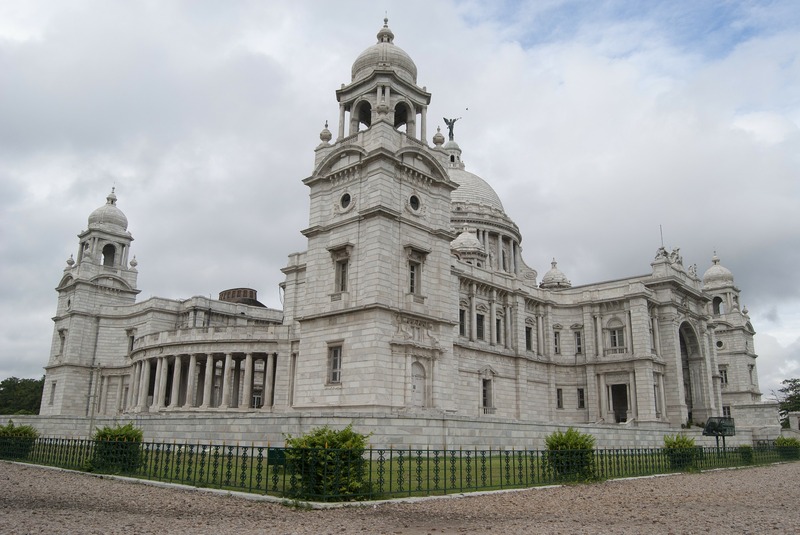 It is a beautiful building (one that you will admire for sure on a walk on this famous touristy area) and it would be a shame not to visit it on the interior as well. once inside you’ll discover that there are actually a few exhibitions that can be visited – based on different periods of time and art periods. Depending on your taste and preferences you can choose whichever exhibition you like or even see them all. As this is the biggest art museum in Bucharest, if you want to visit all the exhibitions ( the entire museum in one day) then pe prepared to spend the entire day here and don’t include anything else on your itinerary except maybe something for the evening. The building is impressive, the interior is mesmerizing, and of course the works of art are impressive. 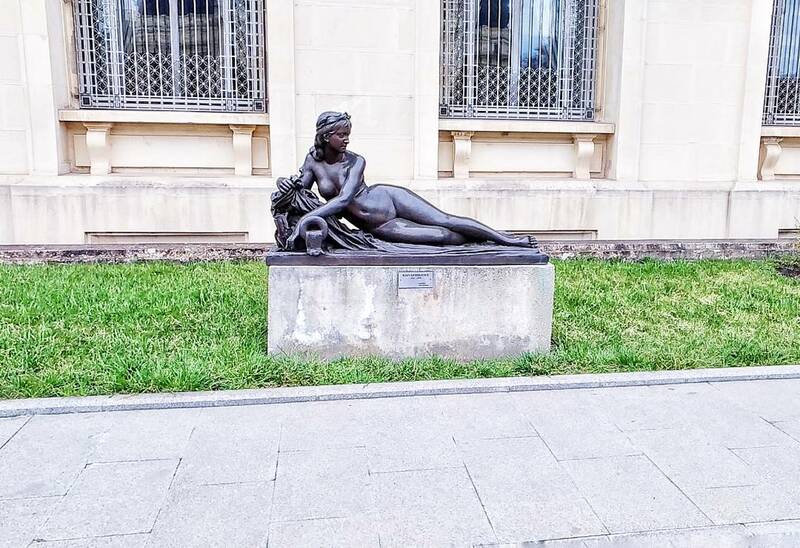 Include this museum on your list of things to do in Bucharest for your next trip here and if you are an art lover then you won’t be disappointed. Located on the Victoria Avenue, the National History Museum is another landmark of the city and one of the top museums to visit in Bucharest. This museum is home to the National thesaurus and you will also see here replicas of the column of Trajan from Rome. But these are just two small pieces from what the museum has to offer. Renovated and modernised a few years ago, this museum is a walk through Romania’s history. It will give you a chance to learn about the three “pricipates” that existed before they got unified and formed Romania in 1918. You’ll discover important leaders, learn about battles, fortresses across the country, and more. If you are passionate about history, then prepared to spend here a few hours – at least half a day – because you will have what to discover. From ancient tools and statue to present-day items, you get a complete view of Romanian history here, all in one day and all in one place. I tried to keep the presentations of the most famous art and history museums in Bucharest Romania as short as possible. As you can see, even offering just a few tiny bits of information about them leads to this long and comprehensive article on famous art and history museums in Bucharest. These are the biggest ones you can visit in Romania’s capital, and, as they are all accessible by public transportation, I am recommending you to include them on your travel itinerary for Bucharest. I really hope you’ll enjoy discovering each and every one of them or just those that appeal to your preferences. I can only wish you to have the best visit you can possibly have in my home town, Bucharest. Enjoy your travels! Will Travel Insurance Really Be Useful Or Not? Paintings are my favorite thing when visiting every place. I’ve been there 3years ago and can still remember the beauty of Bucharest, especially the Palace of the Parliament. Even from the outside, I admire it so much. Thanks for sharing anyway. I’m happy to pin this.